WITH half of the 12 hour race now gone, the true pace and colour of each car is starting to show while Augusto Farfus remains in the lead. After leading at the one-third mark, Farfus has retained the lead, albeit slightly, heading to the halfway point of the race ahead of Bentley’s Maxime Soulet who has applied pressure as they edged closer to the sixth hour. 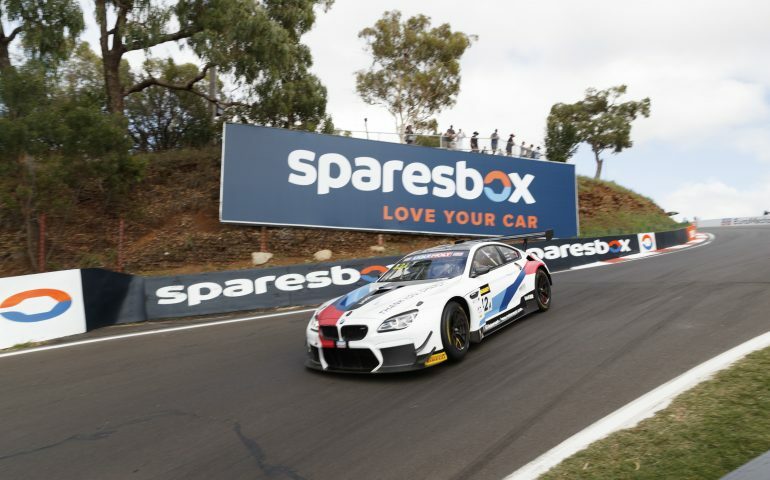 Two safety car periods slowed down the pace of the stint as in the same time as October’s Bathurst 1000, the 12 Hour has only just notched up 153 laps. Contact between Christina Nielsen and Garth Tander at The Cutting saw both cars sustain damage early on in the fourth hour. Nielsen had recently left the pits and Tander was amongst a battle for third place when they made contact, hurting both efforts. Another safety car was deployed on lap 121 to recover debris on Conrod Straight, allowing officials to clean the mess up and throw strategy into the mix as the pit window for a lot of the front pack were due to pit. Augusto Farfus, Andy Soucek, Maximilian Goetz, Jules Gounon, Gary Paffett and a few others from the front pack took the opportunity to pit, neutralising the field for the next stint. Josh Burdon in the #35 KCMG Nissan GTR had repeated dramas, his car shutting down heading up Mountain Straight and then being pulled into the garage to sort out the issues, all just after fighting at the top of the field. The #888 Mercedes-AMG GT3 entry of Jamie Whincup, Craig Lowndes and Shane van Gisbergen continued to have issues throughout the race after van Gisbergen and Lowndes complained early on of car balance. Whincup had his own drama with race control claiming he passed the safety car while the yellow lights were activated though the team fought the penalty and had it overturned due to the lights actually being green. The race’s fifth safety car was released on lap 141 after Danny Stutterd crashed out at Sulman Park. His #43 Ashley Seward Motorsport Porsche was one of three cars in Class B, leaving only the Grove Group and Porsche Carrera Cup Asia entries left in the class. The restart saw Jordan Pepper in the #107 Bentley pit in just as the flags went green due to a puncture while Farfus led the pack, having a scrappy run up Mountain Straight which allowed Buhk to close in. Running up the Mountain side by side, the pair made contact twice on the run to Griffin’s Bend, both fortunate not to sustain damage as the #108 Bentley of Maxime Soulet waited patiently behind. A few laps after, Soulet got past Buhk who had a drive through penalty hanging over his head thanks to weaving under the safety car after the lights had gone out. Soulet then started to apply pressure to Farfus out front, the BMW having to drive defensively on the run to Griffin’s Bend to retain the race lead as the race neared the halfway mark. Buhk served his penalty on lap 148, filing back into 10th place after touring the pit lane, almost half a minute down on the leaders who were still split by under a second. On lap 150, Soulet had another crack at taking the lead, getting up alongside the BMW, almost pulling away from him up Mountain Straight but Farfus hit back at Griffin’s Bend, retaining the number one position for another lap.